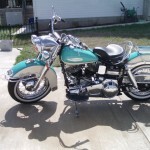 This beautiful Harley was restored by its owner. 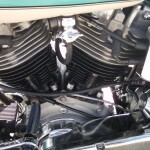 The engine and transmission were rebuilt. The frame and sheet metal were stripped. 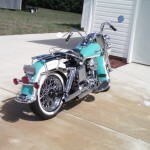 The complete bike was repainted in teal and cream. All of the lighting was replaced. The chrome items were replaced. The wheels, bearings and spokes were replaced. 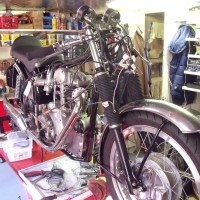 New fender struts were fitted. The cables and mirrors were replaced. 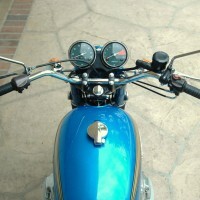 New handlebars and switches were fitted. 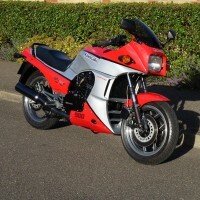 A new luggage rack was fitted. 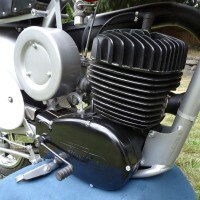 The forks were rebuilt and polished. 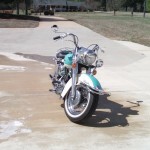 A brand new leather solo seat and trim was installed. 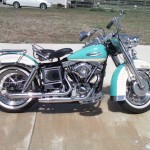 A stunning restored Harley-Davidson FLH Motorcycle. 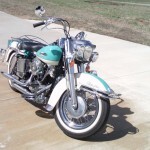 Harley-Davidson – 1970 For Sale or Wanted? 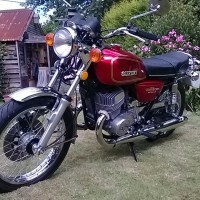 If you're looking for the perfect Harley-Davidson – 1970 for sale then take a look at the hundreds of restored classic motorcycles listed on our extensive Motorcycles For Sale pages. 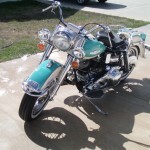 We regularly feature very nice restored Harley-Davidson – 1970 bikes for sale. 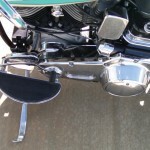 Spares and Parts for your Harley-Davidson – 1970? 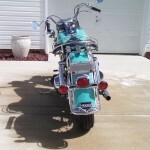 Workshop Manual for your Harley-Davidson – 1970?